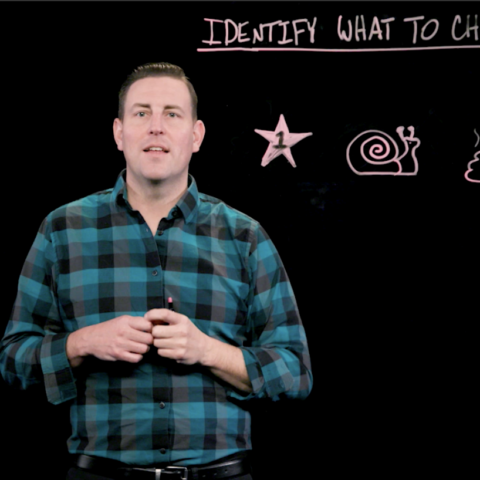 Today I want to talk to you about how to identify what to change in your church. Change is inevitable. But when it comes to change in your church, how do you know what to change and when to change it? What’s the right change? Let’s take a look. First, you want to identify things in your church that are successful. What contributes to your church’s success? Who contributes to your church’s success? And why is this thing working right now? Next, we want to identify things that may be stagnant or stale or they are just moving slowly. How do these things become part of the status quo? Why were they successful in the past but they are now stalled? We need to figure that out. Finally, we want to identify things that just plain stink. What’s going on here? Why is this not working well? And it may be the question, why did we ever do this in the first place? Why is it still part of our church? So, after you’ve answered these questions, put your change into one of these categories and decide. Will you capitalize on the momentum of what’s successful? Will you breathe life into a stalled and stagnant ministry? Or, will you do something drastic and take care of this thing that stinks and simply needs to end? Now that you better understand how to assess what’s going on in your church and what needs to change, what are you going to do about it? To learn more about how to lead change in your church, join us at Blueprint Coaching: Leading Change in Your Church. Choose from three cities and dates! For information and to register, click here.